Admittedly this isn’t my usual type of post. However, I’ve had a number of occasions where the touchpad on my Toshiba Satellite L855-188 has stopped responding. When I say that it doesn’t respond, it actually behaves in a bazaar way: the mouse acts as though the machine were incredibly busy (an occasional jerky movement every few minutes – yes minutes). However, if you hold a mouse button down, it works fine (that is, the mouse responds correctly – obviously trying to navigate Windows with a mouse button constantly pressed presents its own problems). And it’s back to normal! 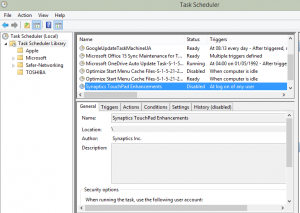 Just disable the task in the task scheduler library. 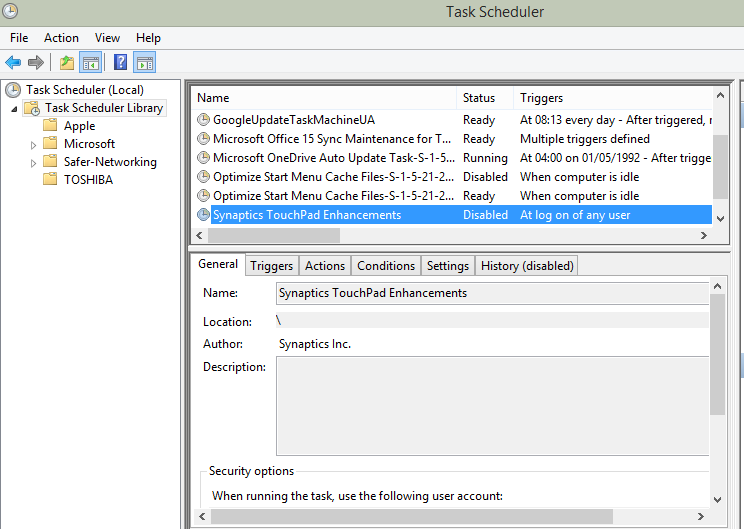 This entry was posted in Hardware and tagged Mousepad, Synaptics, Synaptics TouchPad 64-bit Enhancements, Toshiba, Toshiba Satellite L855-188 on March 26, 2015 by pcmichaels. The problem being that `buildServer` was being set to null. I had the TFS server set-up locally, and there was a controller, an agent and a build configured. I spent a good while trying to debug, what I thought was, an error with the code. The problem was that I was referencing the wrong version (trying to connect to TFS2013 but the build client version was 11.0.0.0). Swapping it to version 12.0.0.0 works fine. It sounds like a silly mistake, but if you make it, it’s very difficult to spot. This entry was posted in C#, TFS and tagged c#, GetTeamProjectCollection, IBuildServer, Team Foundation Server, TFS, TFS2013, TfsTeamProjectCollectionFactory, VersionControlServer on March 20, 2015 by pcmichaels. That is, the bound command will not update. Even if the changed `canExecute` raises property changed. Which works fine. However, what if you have 10 commands, and they all have the same dependant property? This entry was posted in C#, MVVM Light, XAML and tagged Binding, c#, CanExecute, command, DataBinding, ICommand, MVVM, MVVM Light on March 7, 2015 by pcmichaels. I recently had cause to write a universal app that has voice capabilities. Hopefully it will shortly be available on the Windows Store. Adding voice synthesis, while a seemingly basic task, proved to be anything but. What follows is a series of trials and tribulations that I have overcome in order to bring this app to the public! Here’s the basic code to get started. The first issue I encountered with Windows Phone was the volume. Having maxed out my laptop speakers, I managed get a faint whimper. What I finally deduced is that, for some reason, when the emulator starts, it starts at half volume. To increase it you have to press the phone’s volume buttons (which I initially assumed were just there for aesthetics. Clearly Microsoft haven’t entirely abandoned skeuomorphism. The volume controls are the top right buttons (which I happened to know because I have owned a Windows Phone in the past). Once you press it then a more sensible interface appears and you can change either the ringer volume, or the game volume. Although the code above does work, try calling the code in a loop (or just twice). What happens is that it doesn’t wait for itself to finish. What I didn’t realise (until I asked this) was that there are some events which supposedly fire when the media element has finished playing. I say supposedly, because when I first tried to capture the events, they did nothing. After a bit of searching, it turns out that the element needs to be part of the visual tree! Which of course makes total sense – an AUDIO media element must be part of the VISUAL tree. 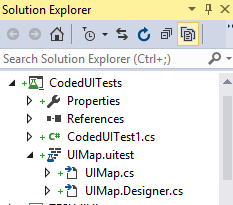 The code below now looks for the media element in the visual tree, and if it can’t find one, adds it. It also uses the TaskCompletionSource object to await the audio stream. That works. 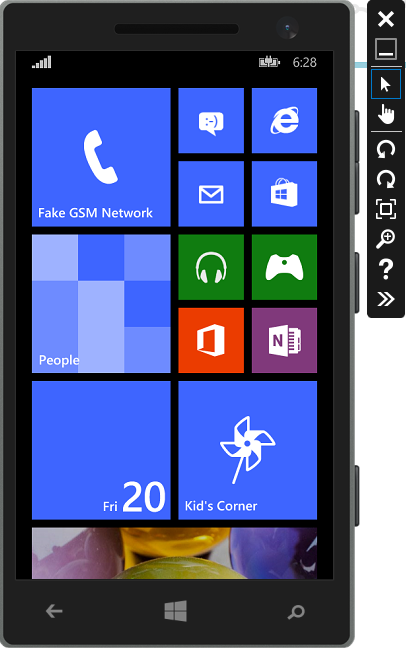 At least, it works on Windows Phone. Because it uses a media element, I thought putting it on a shared XAML page would work… but it doesn’t. Windows 8.1 just sits there quietly and says nothing. After much trial and error, it occurred to me (prompted by a comment on the above question) that if the problem was down to a deadlock, then destroying and recreating the control might clear this up. And this does seem to work on both platforms. This entry was posted in C#, Windows 8, Windows 8.1, XAML and tagged c#, MediaElement, SpeechSynthesizer, Windows Phone, Windows Phone 8, Windows Store Apps, WinRT on March 1, 2015 by pcmichaels.